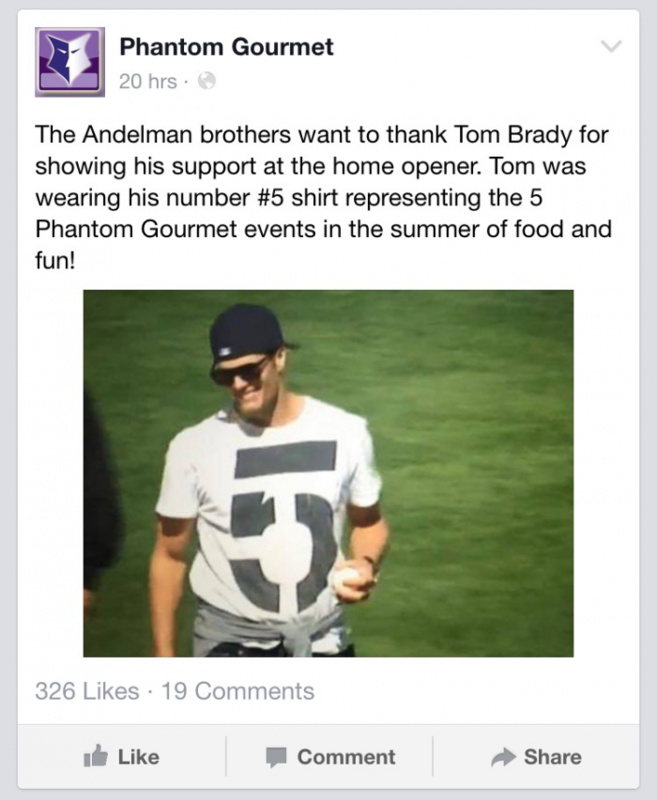 What Does the "5"on Tom Brady's shirt mean? Tom Brady and the Patriots organization gave Boston Red Sox fans a huge surprise at Fenway Park yesterday for the teams' home opener. He came out with Owners Robert Kraft and Jonathan Kraft along with Head Coach Bill Belichick. They even brought presents in the form of 4 Lombardi trophies! First off, that throw was a pretty bad one for a 4-time Super Bowl winning QB. Check it out. What I am really wondering about is that shirt TB12 was wearing and what it meant. The video shows him with the #5 as big as it gets on the front of his t-shirt. So what was he trying to say? Does it mean he will be getting ring #5 in his quest to be the greatest ever? I have the answer! The Phantom Gourmet, a food oriented TV show here in New England, gave us the real reason on their Facebook page. Check it out. Okay, maybe it wasn't the reason but I really want to know now.